'Tis the season for festive Horror and what better Xmas themed Horror is there than "Black Christmas". One thing that I've always loved about this film is the amazing cinematography, even the shaky P.O.V style shots add to the movies atmosphere which make for great viewing. Each shot seems thoroughly thought out yet done effortlessly. Director Bob Clark did an incredible job with bringing writer Roy Moore's screenplay to life, Clark had already had experience with the Horror genre with films such as "Children Shouldn't Play With Dead Things" and "Deathdream". Each of those films managed to have humorous elements yet not tainting the Horror elements. The words 'Under-rated classic' and 'cult film' get thrown around all to easily these days that they have lost their meaning, but this film is a true meaning of them both. The film was ignored over the years and unknown outside the cult horror fans, luckily it gets it due these days but when you watch it it's so hard to believe that this was overlooked for so long. In 1986, Olivia Hussey met producers for the film Roxanne (1987), Roxanne co-star Steve Martin met her and said "Oh my God, Olivia, you were in one of my all time favourite films." Thinking it was "Romeo and Juliet" (1968), Olivia was surprised to find out it was actually this film which Martin claimed he had seen it over 20 times. 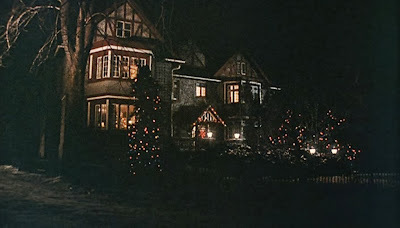 In my opinion "Black Christmas" is the ultimate Xmas Horror film, if you haven't seen it then you're truly missing out! Reportedly, writer Roy Moore took inspiration for the story from an actual series of murders that took place in Montreal, Quebec around the Christmas season. 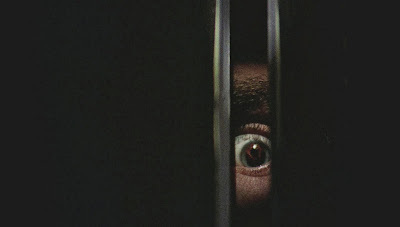 Bob Clark stated in an interview that he couldn't recall whose eye was used for that infamous shock scene where Jess sees "Billy" staring at her from behind the door. It was possibly Albert J. Dunk, the camera operator who played Billy during some of the murder scenes, but it has never been confirmed just whose staring eye has given countless viewers nightmares for all these years. Upon initial release in the US the films title was changed to "Silent Night, Evil Night" because the American distributor feared the title "Black Christmas" might cause the film to be mistaken for a 'blaxploitation' flick. 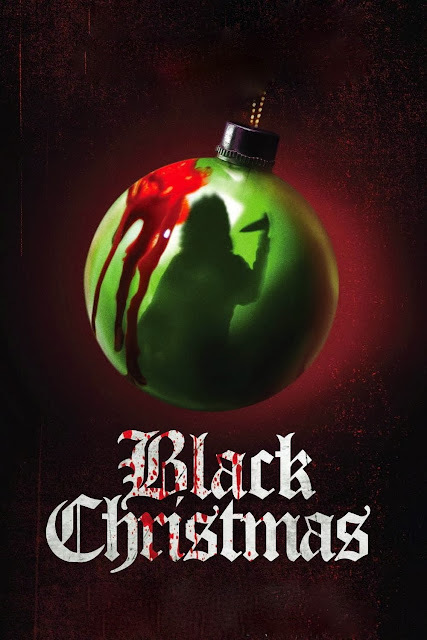 However the film didn't do well under the new title and it was changed back to the original "Black Christmas" title, under which it was a success. Director Clark claims that he re-wrote half of Roy Moore's script, adding some humour into the film. Moore was also against the idea of never seeing the killer however when he saw the finished film, he was very pleased with it. The film had only moderate box office success and negative critical reception when originally released, however the film went on to have a large cult following. It has since received a critical re-evaluation and is now considered a classic. There is a purpose for the eerie ringing telephone as the closing crawl appears. This indicates that the main heroine will die. However, the heroine's death is left open to personal interpretation by each member of the audience. The ending of the film forces people to think independently. When NBC showed the film during prime time (under the title "Stranger in the House"), it was deemed 'too scary' for network television and was pulled off the air. According to director Bob Clark, there were three voices used for the frightening phone calls, including actor Nick Mancuso, an unnamed actress, and himself. During an interview with director Bob Clark, Clark said Olivia Hussey's decision to take the role of Jess was based upon advice given to her by a psychic. According to Clark, Hussey said her psychic believed that the film would be successful and a wise career choice for her. She took the role. Art Hindle, in an interview included with the DVD, reveals that the fur coat he wore in this film was in fact his own. It still hangs in his closet to this day. The original title of the films script was "Stop Me". It was director Bob Clark who came up with the title "Black Christmas" saying that he liked the irony of something dark occurring during such a festive holiday. Actress Lynne Griffin revealed that for the scenes where she's wrapped in the plastic bag she would rip a hole in the bag, stuffing the opening into her open mouth so she could breath during filming. Composer Carl Zittrer said in an interview that he created the bizarre music score for the film by tying forks, combs, and knives to the strings of his piano so the sound would warp as he struck the keys. Zittrer also said he would distort the sound further by recording audio tape while putting pressure on the reels of the machine to make it turn slower. The audio for the demented phones calls was edited into the film during post-production. While shooting the footage for the phone call scenes the actresses were actually just reacting to threatening dialogue being spoken from director Bob Clark from off-camera. The snow seen outside of the sorority house was actually fake, because there had been surprisingly little snow fall during the filming. A foam material that was provided by the local fire department was used for snow on the lawn and according to cinematographer Albert J. Dunk the substance actually caused the grass on the lawn to grow greener than ever the following spring. Shooting the search party scenes in the park proved to be quite difficult as the temperature was a freezing 10 degrees during the night of filming. Cinematographer Albert J. Dunk created Billy's POV shots by rigging up a camera harness that would mount the camera on his shoulder as he walked about the house and climbed the trellis and attic ladder himself. It was composer Carl Zittrer who contacted star John Saxon, who he met on a previous film, about filling in for the role of Lt. Fuller at the last minute. Co-producer Gerry Arbeid cameos in the film as the cab driver that arrives to pick up Mrs. Mac. Despite its ominous themes and plot, Olivia Hussey reassured that the set was a very light and happy place between takes stating everyone got along with each other very well. She did however admit that Margot Kidder was rather distant from cast/crew during the filming.